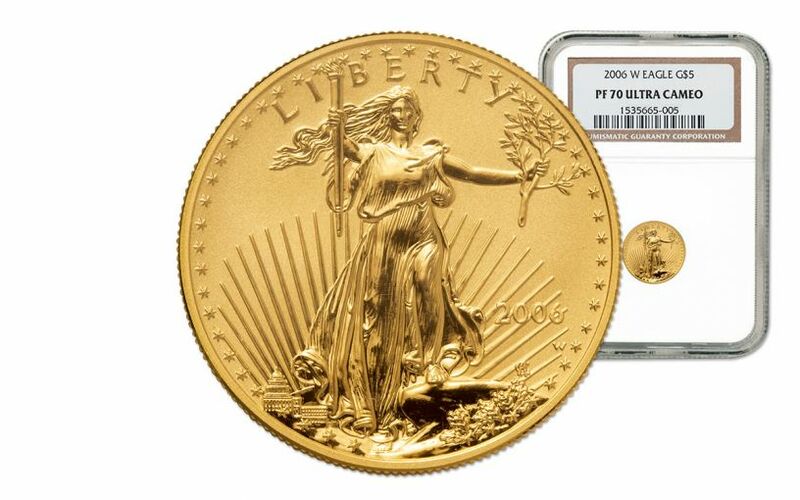 Goodbye Pluto, Hello Gold Eagle Proof! 2006 was a sad year for Pluto fans (the planet, not the dog), as the International Astronomical Union voted to redefine our solar system, "downgrading" Pluto to the classification of dwarf planet. 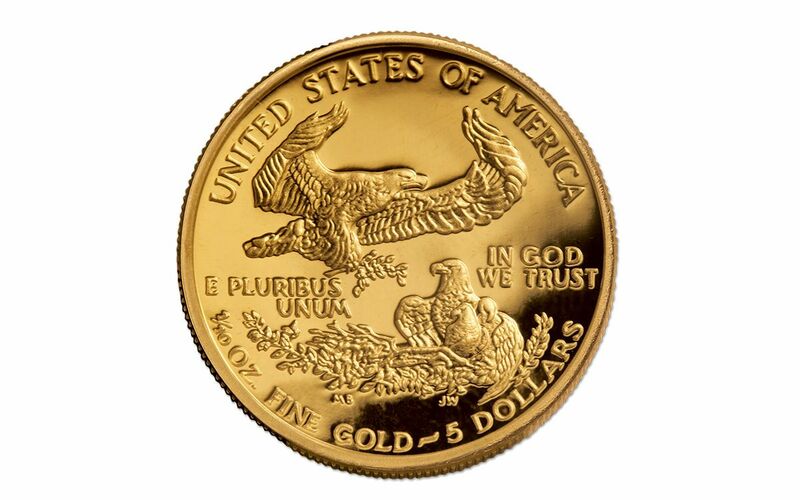 Thankfully, these 2005 Gold Eagle Proofs were there to comfort those who were feeling distraught over the change. 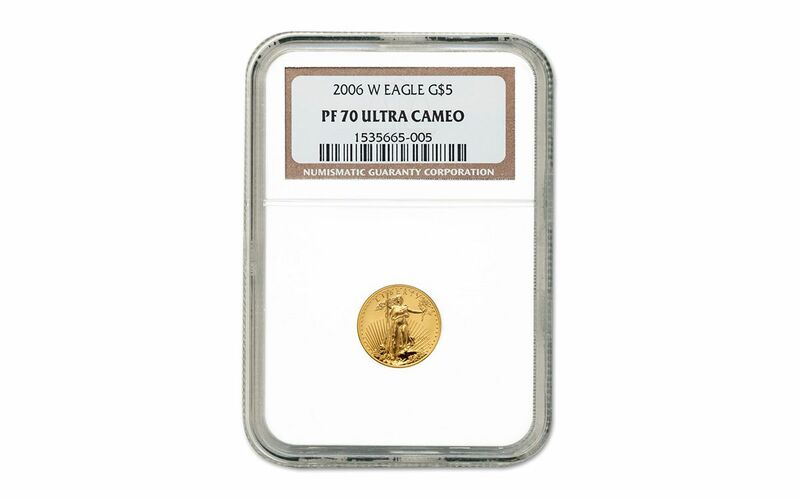 Minted in 91.67% and containing a tenth-ounce of pure gold, these legal-tender $5 proofs have been sonically sealed in protective acrylic holders to preserve their perfect Proof 70 (PF70) condition as graded by Numismatic Guaranty Corporation (NGC). They may not be classified as celestial bodies, but with their incredible cameo appearance — a satin, raised design above a mirror-like background — you'll swear they shine like the sun. 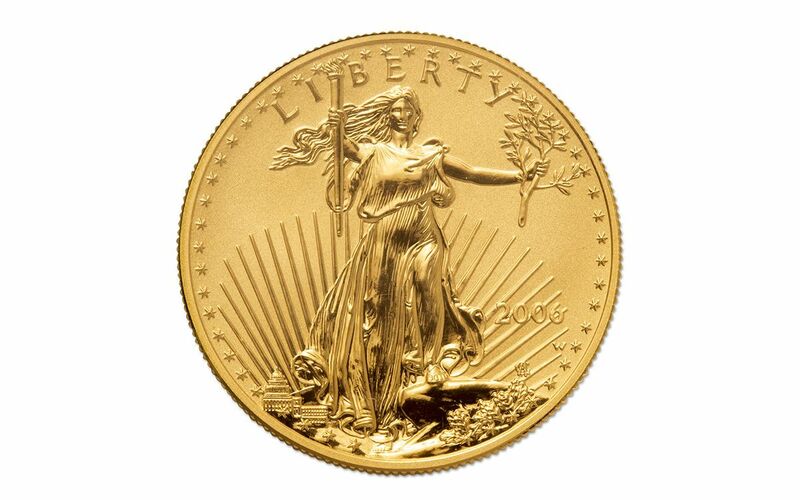 Order yours today!